I was delighted to be a guest on the Whatever Girls podcast “Elevating the Conversation,” though as a journalist it was odd to be on the other side of the Q&A! Host Erin Bishop and I covered a lot of ground. 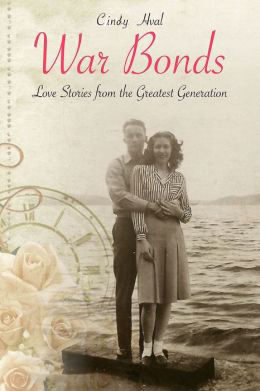 Her grandparents are the beautiful couple on the cover of War Bonds: Love Stories from the Greatest Generation. We talked about how the women of that generation revolutionized the workplace and what it takes to have lasting relationships. Then we talked about writing. How I got started and what’s coming up next. Of course, if you asked me a writing, I’ll talk about reading. The best writers are the best readers! And then the heart of the podcast– the value of female friendships and how we can empower each other by elevating the conversation.